Maja Djikic is Associate Professor and the Executive Director of Self-Development Laboratory at the Rotman School of Management, University of Toronto, where she also teaches on leadership, self- development and self-transformation in the Executive MBA Program. Dr. Djikic is trained as a personality psychologist and has published more than 25 articles and book chapters in the area of personality development, creativity, and mindfulness in journals such as Psychological Science, Creativity Research Journal, and many others. Her work examines means of developing a congruent and flexible self in the face of complexity, ambiguity, and conflict. Her research has been featured in numerous media outlets, such as the New York Times, Salon, Slate, and Scientific American Mind. Scott Rutherford is Associate Professor and Executive Director of the Leadership Development Lab. He teaches courses in Business Problem Solving, Management Consulting and Leadership Development across the School’s MBA and EMBA programs, and is a core Faculty member in the Self-Development Lab. Scott was previously a consultant and Practice Expert within the McKinsey & Company’s Leadership Mindsets and Capabilities Practice. He continues to work with major global corporations and organizations on topics of Leadership Development, Organization and Top Team Strategy & Alignment. James DeStephanis, Faculty, Self-Development Lab and Leadership Development Lab. He is also an entrepreneur, coach and organizational consultant. 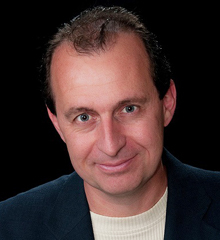 After a decade of experience in entrepreneurship and organizational development and developing some 2500 people in various stages of career and life, James now utilizes a practical, phenomenologically based approach to building learning and workplace environments that foster natural leadership, creativity and accountability within the people that work in them. 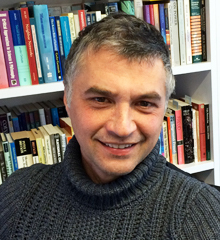 Mihnea Moldoveanu is the Desautels Professor of Integrative Thinking, Professor of Business Economics, Vice-Dean of Learning, Innovation and Executive Programs and Director of the Desautels Centre for Integrative Thinking and the Mind Brain Behavior Hive at the Rotman School. 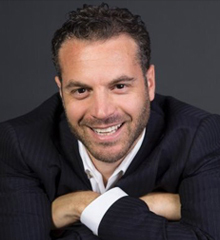 He is the founder and Academic Director of the Self-Development Lab and the Leadership Development Lab. His work on managerial algorithmics, the cognitive super-structures of problem solving, decision theory, and discourse analysis has been published in leading academic (Psychological Review, Management Science, Strategic Management Journal) and practitioner (Harvard Business Review) journals. He is the author of six books, including the recent The Design of Insight: How to Solve Any Business Problem, Stanford University Press, 2015), co-written with McKinsey Director Olivier Leclerc. He is a serial high technology entrepreneur, and Founder and past CEO and CTO of Redline Communications, Inc. (TSX:RDL) a leading global manufacturer of wireless broadband networks. He was selected as one of Canada’s Top 40 Under 40 in 2008 for his contributions to academia and business. 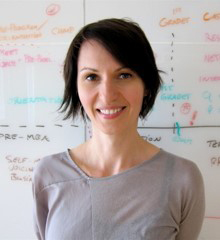 Raluca Cojocariu is the Executive Coordinator of the Self-Development Lab and the Leadership Development Lab at the Rotman School of Management. She is responsible for the communication and logistics of the of the Labs. 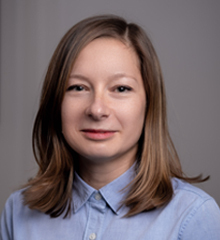 A member of the founding teams of both the Self Development Lab and the Leadership Development Lab, Raluca has a MA in Political Science from the University of Western Ontario and has previously worked as a strategic communications designer in a global advertising agency.